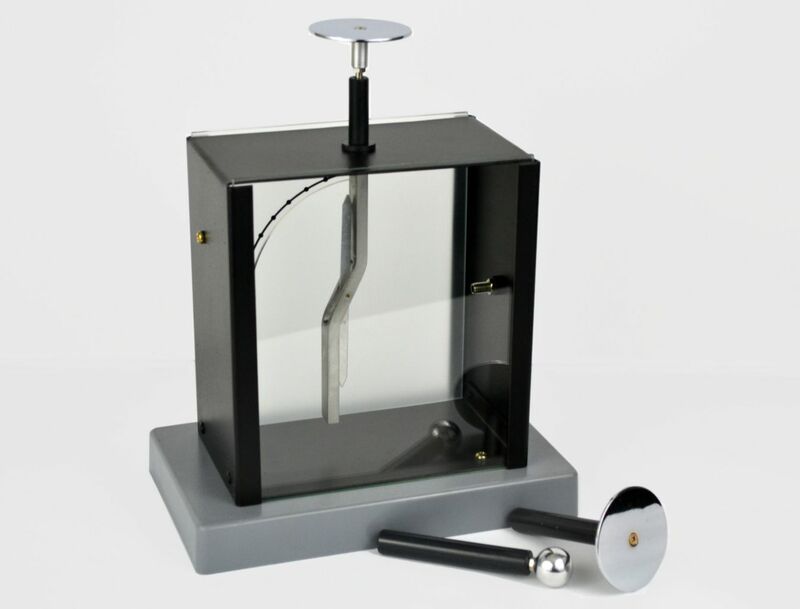 This extra large electroscope is ideal for classroom demonstrations of electrostatic principles. A lightweight metal vane is used as a pointer in the electroscope. This lightweight metal blade deflects when the electroscope plate is charged. A transparent scale is provided to measure the angle of the deflection. Front glass window slides up to allow insertion of ionizing material in chamber. This electroscope comes with two accessories: an electrophorus disc and a spherical electrode. Assembled, the electroscope measures 9.75 x 8 x 4.75".